Taste test: Not a good taste. There's supposed to be a ranch-style taste to these, but I think the thoughts about the smell (see below) overpowered my taste. These actually do taste like moth balls, I think. 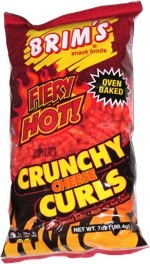 The chip itself is OK, good crunch, but the taste and smell totally turned me off. I could only eat a few of these before unleashing them on the co-workers. Smell test: Not a good smell. Smells nothing like ranch. Smells like moth balls. 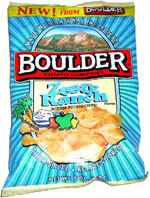 This snack was discovered by Keith at Denver (Walgreens at the 16th Street Mall). Review published .